Augusta Worship Center, CLGI is a place of grace. We are managers and craftsman; we are mothers and fathers; we are teachers and students; we are retirees and military; we are you. We are dedicated to changing the Augusta community, one soul at a time. The Augusta Worship Center was founded on October 8, 2009 in the living room of an Augusta resident. The church is evidence that little can become much. Starting with less than two dozen members, the church is one of Augusta’s most thriving congregations. 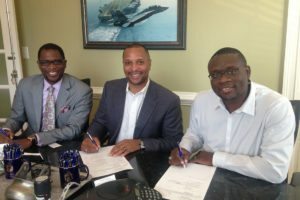 The establishment and growth of the Augusta Worship Center is a direct result of the perseverance, leadership and dedication of Pastor Jay Johnson, Dr. Joseph White, Founder and Presiding Bishop of the Church of the Living God International, Inc. (CLGI), District Supt Kevin Glover, and Missionary Roger Davis. In November 2008, Pastor Jay was approached by his company to relocate to the Aiken SC area. 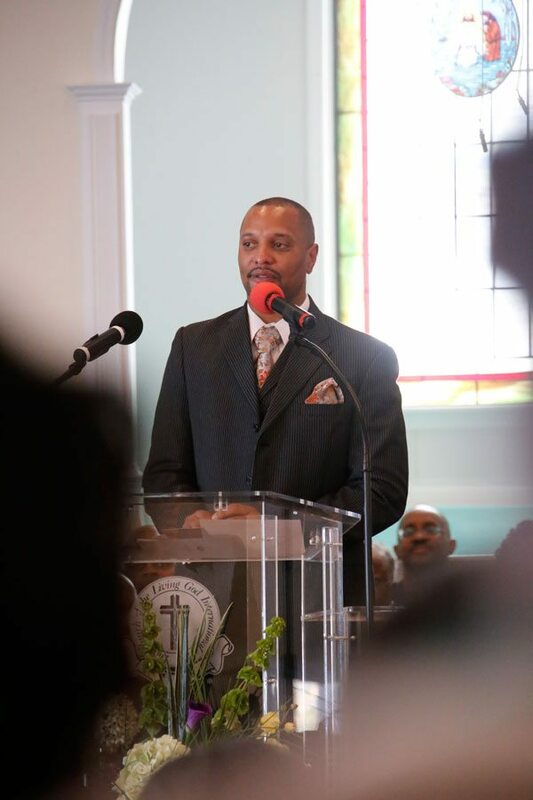 Dr. Joseph White’s counsel to Pastor Jay was sure as he prophesied that a church would be established and his wife, Min Luv, who was not pregnant at the time would deliver their first born child in Augusta, GA.
On May 10, 2009, Pastor Jay transitioned to the Augusta area. Upon his arrival, Missionary Roger Davis drove to Augusta to greet the pastor and suggested the immediate start of a bible study at his sister’s home in Grovetown, GA. On May 28, 2009, the first bible study in Augusta was held. The first bible study was taught by Dr. Joseph White and attended by Bishop Martha Edwards, District Supt Kevin Glover, Missionary Roger Davis, Min Antoine Wilcher, Min Terrance Farmer and fourteen others. From July to October 2009, the bible study was hosted in the homes of bible study members Sis Nardia Matthews and Sis Andrea Denson. District Supt Kevin Glover, Elder Darryl Tanner, and Elder Patrick Perry visited frequently to strengthen the work. In October 2009, Pastor Jay was joined by his wife, Min Luv Johnson, who was now eight months pregnant with their first child. On October 8, 2009, the bible study took its first offering and administratively established the Augusta Worship Center, CLGI. 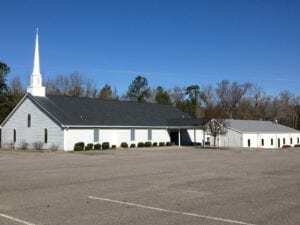 On November 23, 2009, the congregation signed a lease for the church’s first official worship location at 2664 Barton Chapel Road, in Augusta, GA. 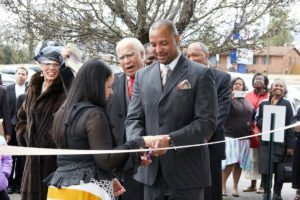 While managing renovations to the property and preparing for the initial service in the new building, Pastor Jay and Minister Luv welcomed their son, Andrew Joseph, on December 1, 2009. Just two days later on December 3, 2009 Augusta Worship Center held its inaugural service with Dr. Joseph White presiding over the services thus bringing to pass the words and prophesy of the Presiding Bishop. The founding members of Augusta Worship Center by family are Pastor Jay and Luv Johnson and son, Andrew; Sis Kortorcha Nelson; Sis Nardia Matthews and daughter, Chimere; Sis Andrea Denson; Min Terrance and Michaela Farmer and sons, Kameron and Jaden; Min Alex and Kim Agyemang and sons, Kai and Adam; Bro Freddie Chapman; Sis Tamika McWhite and children Kambria, Da’Neana, and Kamarion; and Bro Raphael Miralrio. Through the preaching of the gospel of Jesus Christ and the move of the Holy Spirit, the Augusta Worship Center church continued to grow in spirit and number. On October 15, 2014, the Augusta Worship Center purchased its first worship facility at 3840 Mike Padgett Hwy. Over an 8-week period, the congregation led by Project Manager and architect, Min Kim Agyemang, transformed the 12,000 square foot property into a beautiful worship center better preparing the church to serve the Augusta community. With a mind for expansion and growth, the Augusta Worship Center has planted similar ministries in the surrounding cities of Fairfax SC, Hinesville GA, Waynesboro GA, and Brunswick GA.